Country Dreams do come True! 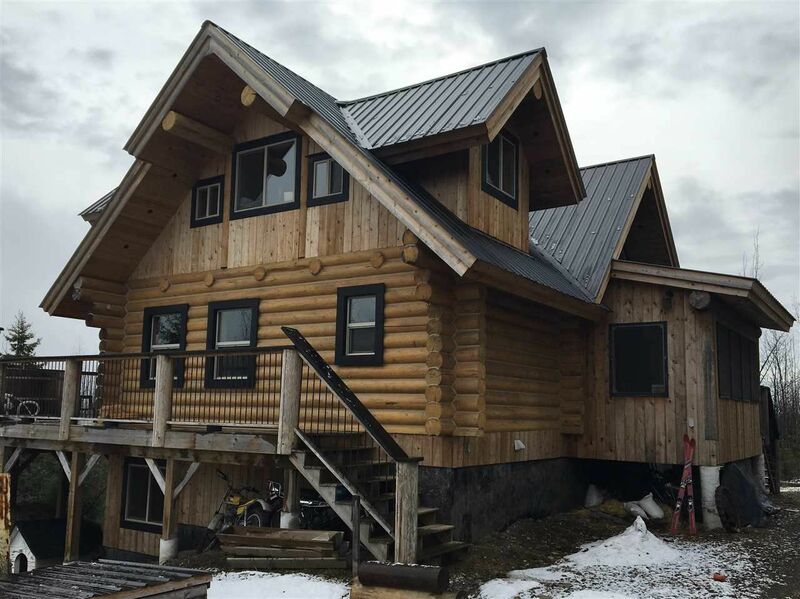 Custom Log Home on 5 acres with a Mountain Vista View. 11 yrs new. 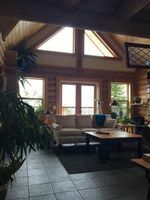 Gorgeous Log detail, open bright Plan, Vaulted Ceilings. All the basics: 3 bedrooms, 3 baths, Rec Rm on 3 levels. The Loft is perfect for a relaxing sitting area & Den. Large Kitchen features Gas range, high Bar, and open to Dining and Living Rooms. Enjoy morning coffee on the Sundeck, overlooking the private treed acreage, hobby farm animals & mountain views. Evenings in the wood fired hot-tub, anyone? Outbuildings include Garage with carport, Barn, wood Shed, fencing. This Home & Property is welcoming for friends, family, pets, kids and livestock. A pleasure to view and Dream to own.